The 頂 -ITADAKI- 2016 PHOTO GALLERY is now up! Check out the records of how everyone spent their 100% happy weekend in the slow, spacious and luxurious fields of green, surrounded in music. Get an overall look at the event, including not just the main area, but the new CANDLE STAGE, the MOON STAGE that only campers had access to and the camp areas themselves. 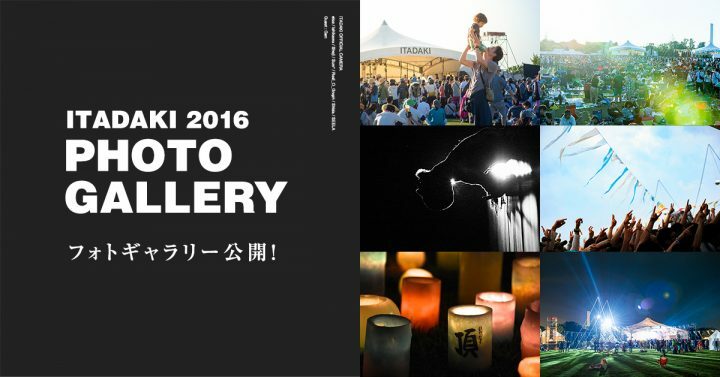 The photo crew of 頂 -ITADAKI- 2016 was on spot and captured the many different ways of enjoying the event. Don’t miss the hard work of the volunteers either! You’re able to check the individual pages of each of the 6 cameramen that helped record 頂 -ITADAKI- 2016. Comparing their point of views is another fun way to enjoy looking back on the amazing weekend of wind, music and luscious green.